We would love to bring the fresh taste of delicious, homemade Italian to your next off-premise event. 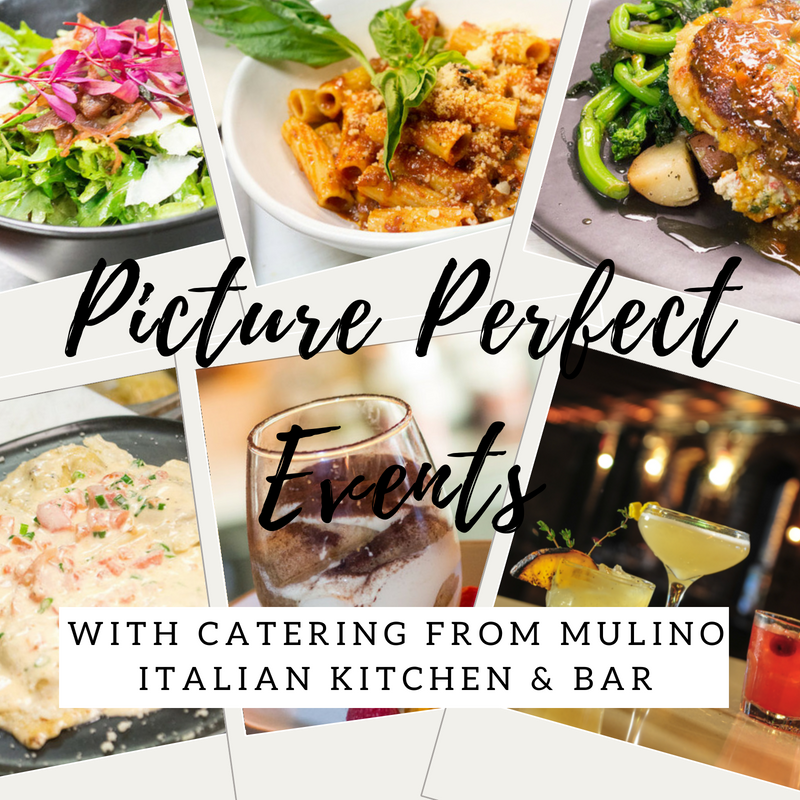 With catering from Mulino, you are able to make your own menu that is sure to please your guests. We know that when you are feeding a lot of people, you will likely run into food allergies and dietary restrictions. We are happy to accommodate your specific requests. We will also gladly assist in the selection of wines and spirits to enhance your menu for your catering event. Ready to bring a little taste of Italy to your next get together? Fill out the form below or give us a call at 919-838-8595.